Capes, slip dresses, fringing and faux fur are in because of an unlikely muse … Game of Thrones. 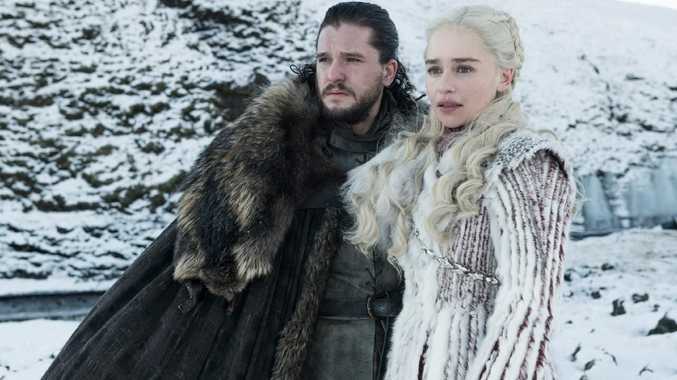 From Daenerys's white frock to Jon Snow's overcoats, the hugely popular HBO series has been an unlikely source of style inspiration for the fashion world - on and off the runway. As GoT prepares to premiere its final season in April, the cult drama has become influential for its costumes, having a surprising impact on wearable trends and celebrity hairdos, style experts say. 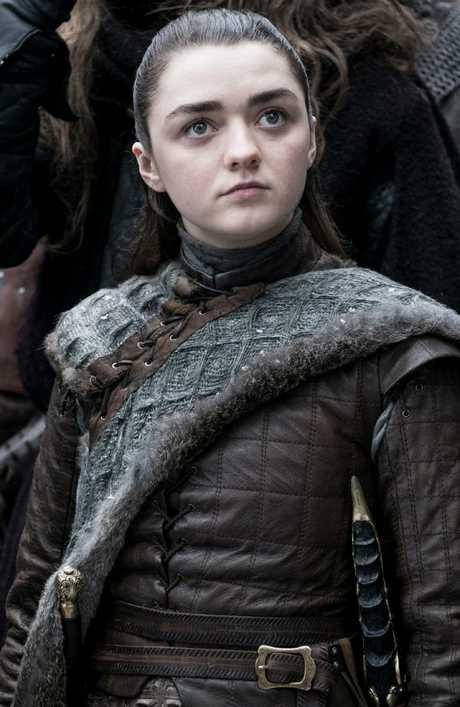 The success of Game of Thrones has catapulted its stars Emilia Clarke, Maisie Williams and Kit Harrington to bona fide icon status, with leather, imitation fur, power-shoulders and slip dresses among the GoT trends that have hit the mainstream during its eight-season run. At the height of its popularity, GoT took cues from the runway, with Clarke's character wearing a gown similar to Italian luxury brand, Valentino. A very pregnant Kim Kardashian wore the frock to the InStyle Awards in 2015, while Katy Perry sported the same dress to the Grammys that same year (it was also seen on Lady Gaga with a similar style on Gwyneth Paltrow). 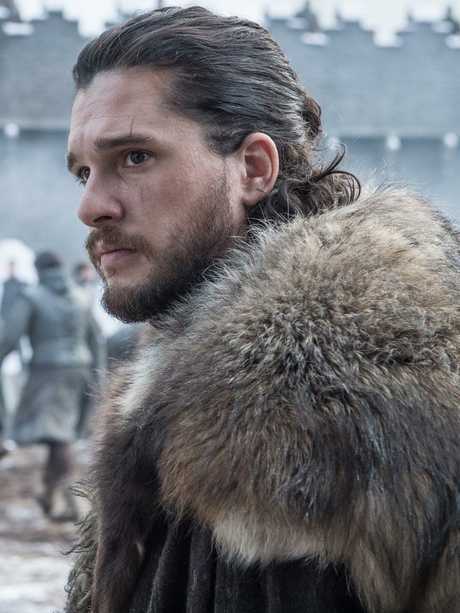 Harrington - aka Game of Thrones' brooding hero Jon Snow - has become an unofficial pin-up for leather and power shoulders, with his fur capes famously made from $79 Ikea rugs. "We cut and we shaved them and added strong leather straps," Game of Thrones' costume designer, Michele Clapton, said in a 2016 interview. 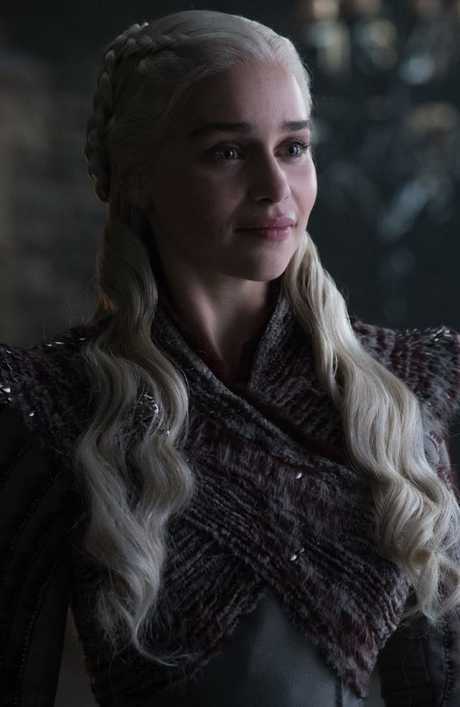 Vogue Australia editor-in-chief Edwina McCann said Game of Thrones' popularity in the style world played into "fashion's recent escapism" and that Clarke's character Daenerys Targaryen - aka Khaleesi - had "the greatest impact on the runway to date". "Her battle-ready ensembles, use of pleats, fringing and strategic cutouts in particular have filtered onto the runways," McCann said. McCann said GoT's influence was particularly prevalent in Rodarte and Elie Saab's past collections, and the show was referenced by Helmut Lang, Dolce & Gabbana, Alexander McQueen, Paco Rabanne and Valentino, particularly with the use of velvet, gladiator sandals, capes, brocade and headpieces. Those designers "produced collections inspired directly by GoT or the medieval period" since the show premiered in 2011, she said. McCann said GoT's sartorial influence was also evident at last year's Met Gala, which had the theme Heavenly Bodies: Fashion and the Catholic Imagination, and was a "breeding ground for GoT reminiscent looks". This included Zendaya wearing Michael Kors, Selena Gomez (Coach) and Kate Bosworth (dressed by Dolce & Gabbana) in "gauzy gowns". Several major names in Hollywood have trialled "Khaleesi blonde" including Taylor Swift, Jennifer Lawrence, Cara Delevingne, Lady Gaga and Karlie Kloss. Rising star Maisie Williams, who plays Arya Stark, has become a darling of the fashion world, sitting front row at Coach's show in New York this week. Despite her character's costumes being low-key by comparison, Williams is emerging as an "it" girl known for her quirky personal style. Last month, the bubblegum pink-haired "it" girl, 21, was in Paris for JW Anderson and Heron Preston's presentations. Australian celebrity stylist Elliot Garnaut said GoT's clothing and accessories choices took cues from the catwalks, and also influenced them, with slip dresses, leather and even Daenerys's braids trending. "Emilia's peroxide locks has become a look that women have experimented with, now more prevalent than ever with Lady Gaga who has worn a similar hair style," Garnaut said. "Even the Kardashians have done Game of Thrones-style braids." 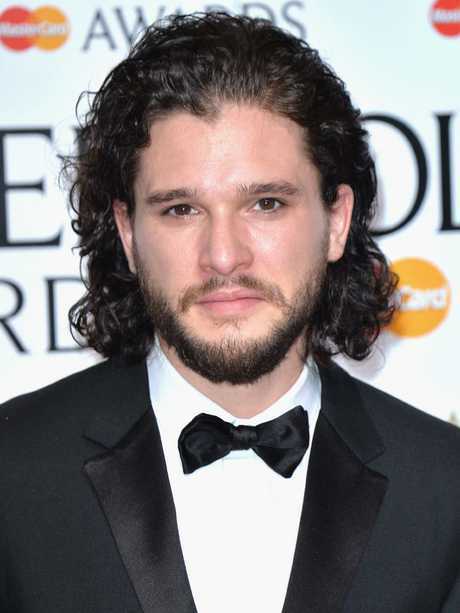 For the blokes, Harrington's character Jon Snow "is a reference to the modern punk, which we've seen on the runways of Saint Laurent and Celine's first menswear show", according to Garnaut. "With fur and leather, Snow is the original bad boy encouraging men to grow out their hair and with a sullen attitude." While Clarke and Harrington have become household names, Garnaut said GoT's fashion appealed to an edgy dresser. "The cast of Game of Thrones is different to the traditional Hollywood celebrity - they appeal to a more alternative crowd," he said. "It's a look that's not afraid to push the boundaries in terms of individuality." The final season of Game of Thrones screens on Foxtel in Australia from April 15.